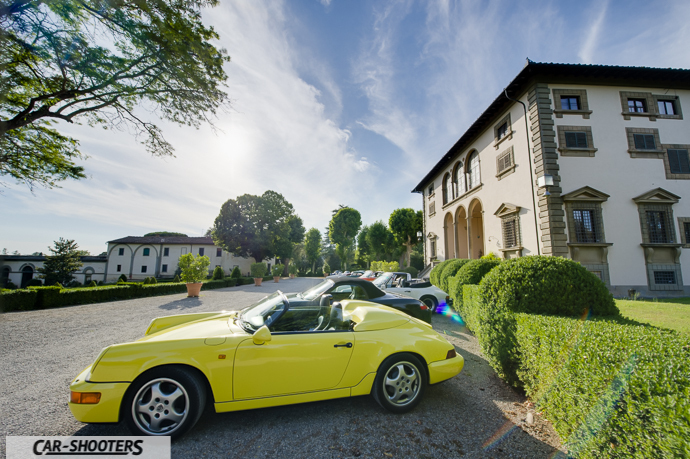 Today we are shooting from Villa Varramista, a beautiful estate in Tuscany that has hosted families as Piaggio, Agnelli and Visconti di Modrone. 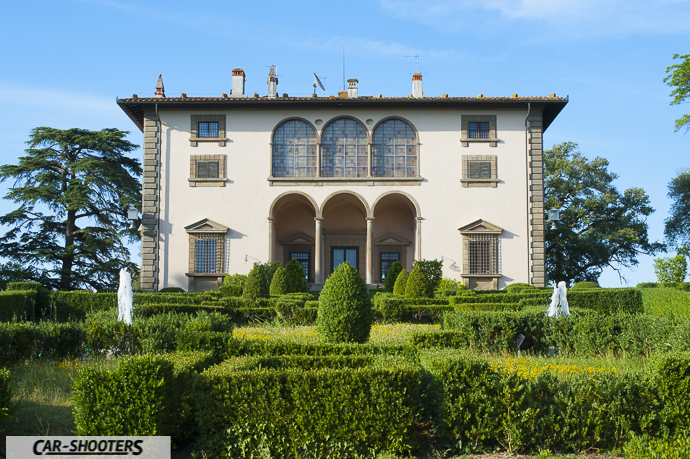 The villa was designed by Bartolomeo Ammannati and completed in 1589. The style is late Renaissance, a beautiful avenue of oak trees surrounded by large gardens leading to the entrance. Today is an holiday destination and it’s used to host events like the one we went. 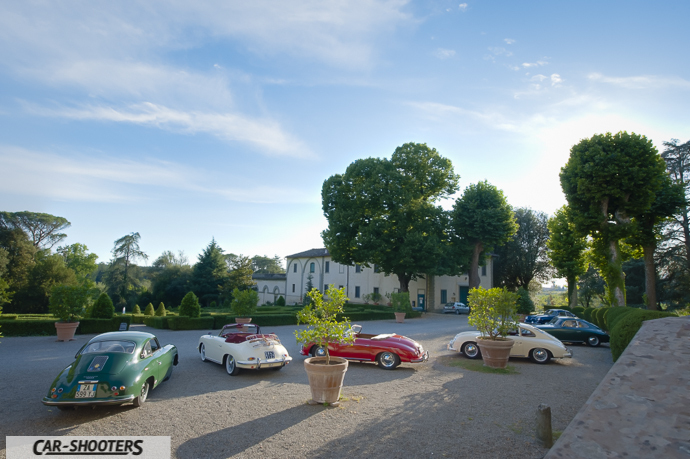 The protagonist are the people from the Registro Italiano Porsche 356 Club who chose this location as a waypoint for a gathering of beautiful cars. 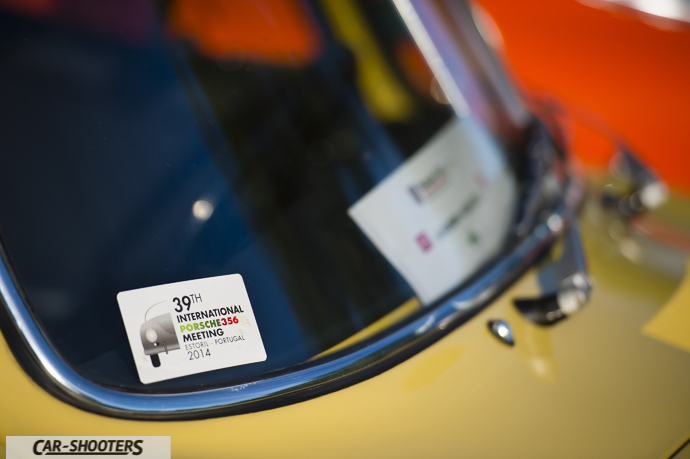 The purpose of this event is to enhance the pleasure of driving. 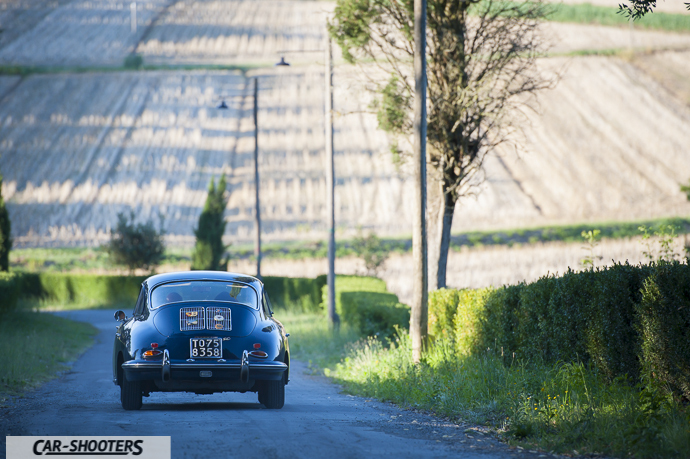 The itinerary is carefully chosen to guide participants on beautiful roads, in order to emphasize the features of the 356. Another equally important aspect is the culture. 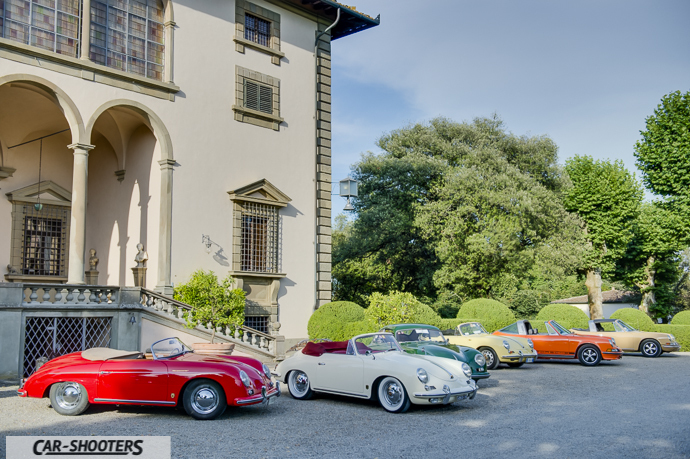 During this ride aboard vintage cars were not neglected some points of interest such as the Piaggio museum and the same villa Varramista. 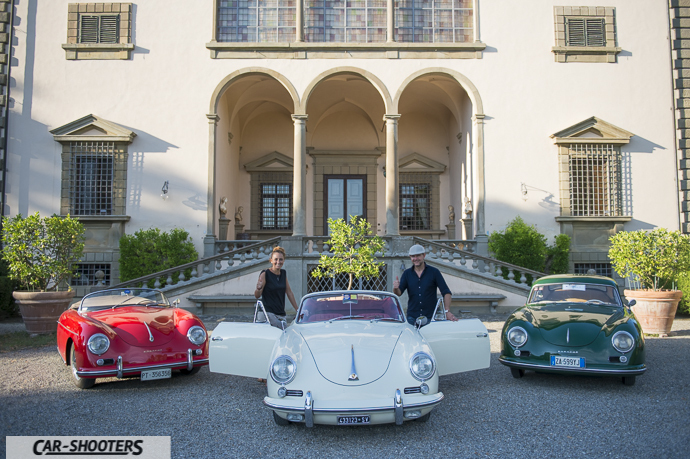 And well then, it’s between the pleasure of driving and the automotive culture that members of the Italian Registry Porsche 356 meet to share the same passion for this car. It is the first time we talk about a Porsche and we are happy to start from the first creation of this famous German brand. 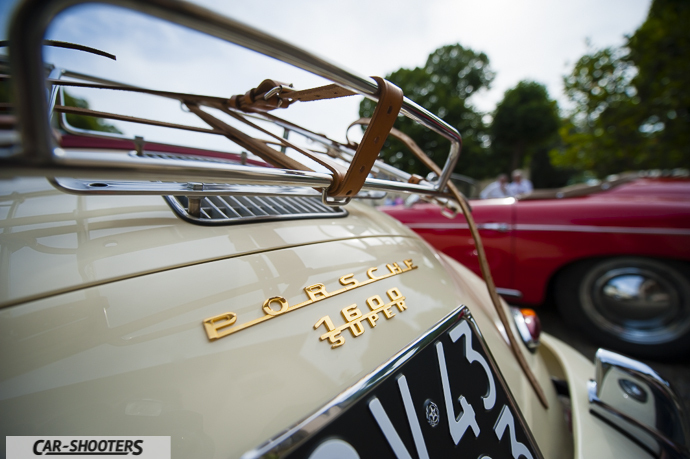 It all started by the genius of Ferdinand Porsche, who was born in 1875 and who founded in 1931 the design and engineering firm Dr. Ing. Hc F. Porsche GmbH in Stuttgart. Together with his studio he worked on major automotive projects such as the Auto Union P-Wagen cars with 16-cylinder engine that, thanks to the great power and innovation (reaching a speed of over 400 km/h), won famous competitions. From then on, Ferdinand had many successes, working even under Adolf Hitler, on several projects including the Volkswagen Beetle. 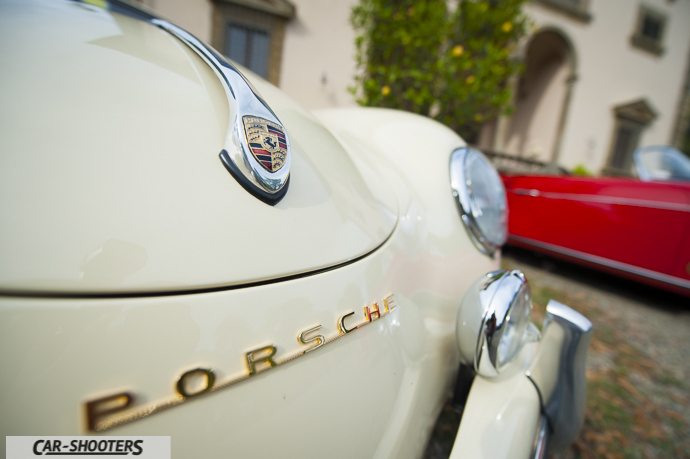 The end of the war led to several upheavals in the Porsche family. Ferdinand was captured and imprisoned by the French army and accused of collaborationism, he spent twenty months in prison, the purpose of which was probably the extortion of plans to use in the automotive industry. 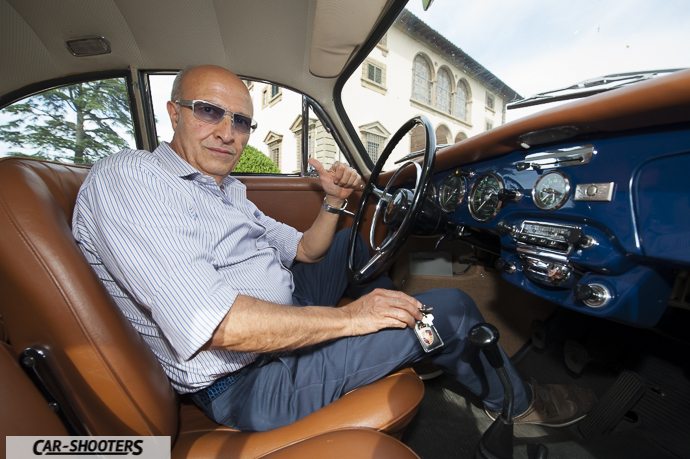 Meanwhile, his son Ferry, who had opened an studio in Gmund, had in his head a sports car based on the Beetle and the chief designer Karl Rabe started working on this project since 1946. 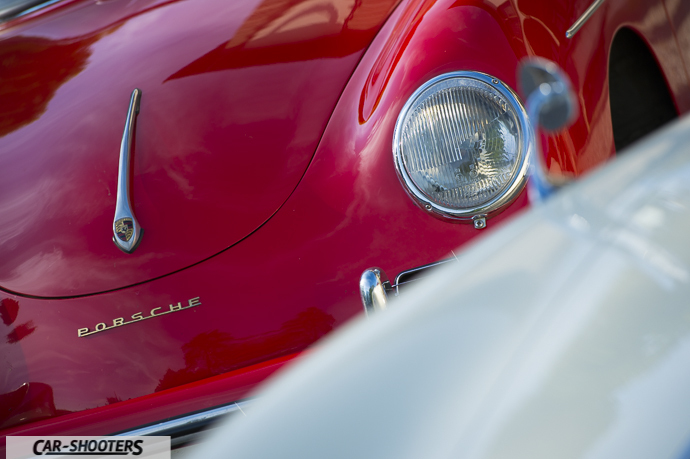 So it was that the on June 8, 1948, with the collaboration of the best designers of the Porsche studio, began the construction of the first model of the 356, the first car to carry the Porsche brand. 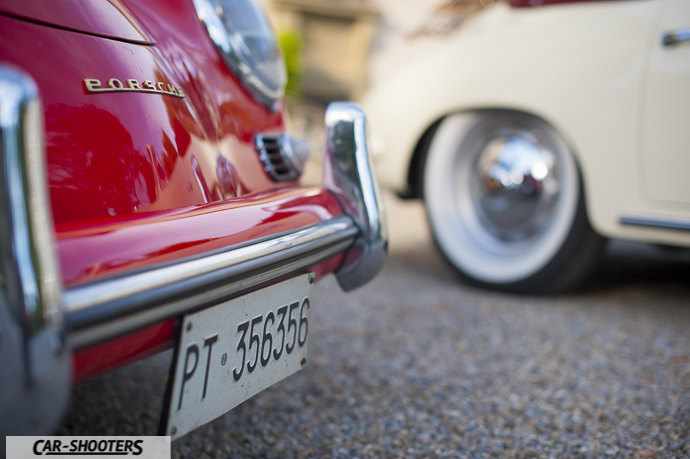 The result of the two-seater car was working on extremely lightweight components used in Volkswagen. The public launch took place at the Geneva Motor Show 1949. The design of the body, by Erwin Komenda, was very futuristic for its time, boasted on a respectful aerodynamics, so much that the first version with only 40HP was able to reach 140 km/h. The front hood, thanks to the rear engine, is lowered both for aerodynamic reasons, in order to emphasize the driver contact with the road. 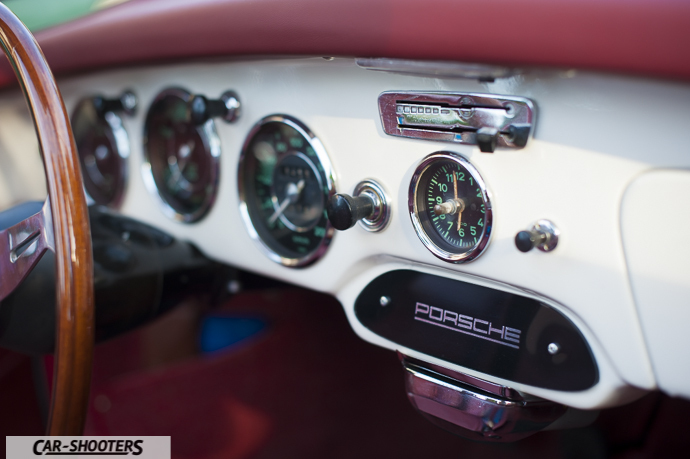 The criterion of 356, as indeed it will be for all the cars in the Porsche brand, it is to give maximum driving pleasure. The first engine was largely derived from Volskwagen, the first with 1.1-liter engine is called “super-light” because of the body completely hand-forged in aluminum, its weight was in fact even under 600kg. 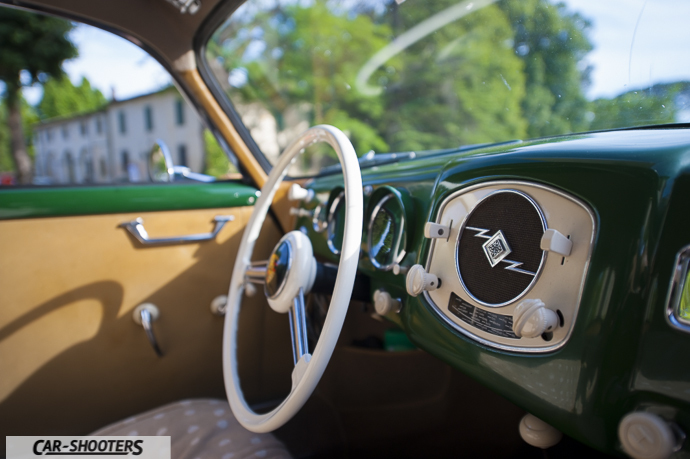 In 1952 he went up to 1500cc engine capacity and ceased any relationship with the Beetle. 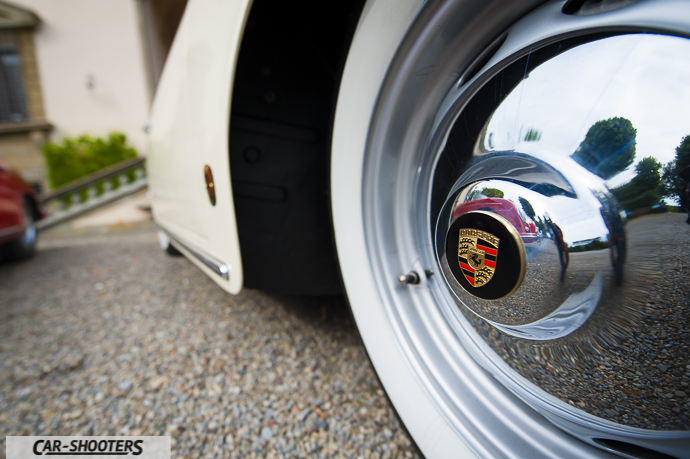 The 356 was becoming more and more a performance car. 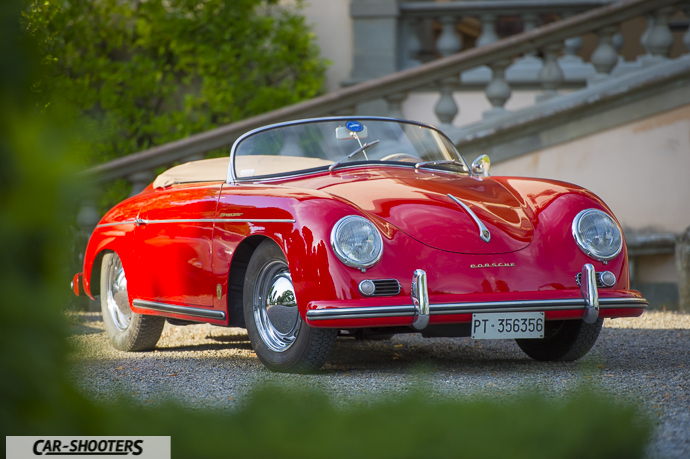 Appreciated overseas, where they imported 12 pieces of the rare America Roadster, lighter version intended for sports people, which introduced the beautiful Speedster. 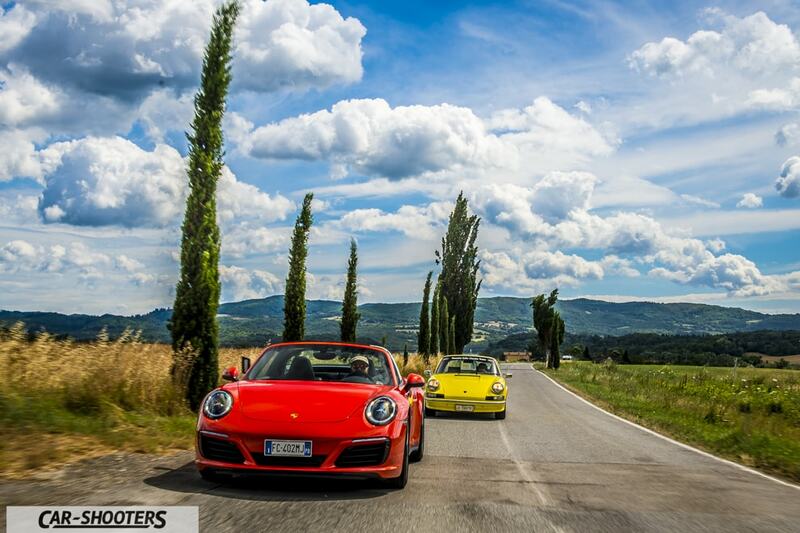 In our photoshoot of the day you can see a Speedster with a unique feature, the license plate “PT 356356” (PT means Pistoia). 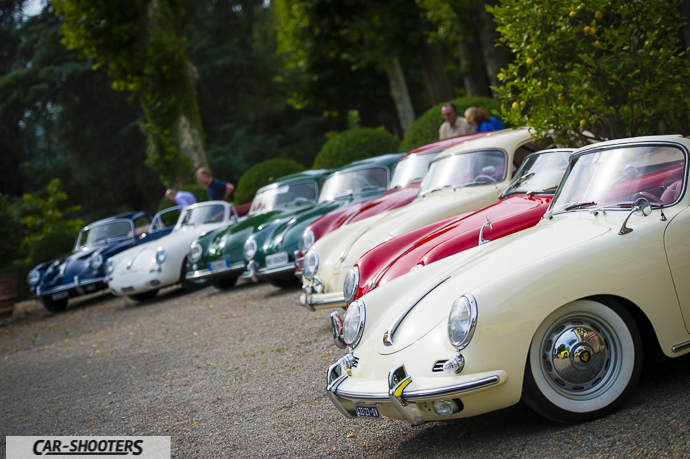 In 1955 the 356 underwent a first development, signed with the letter A. 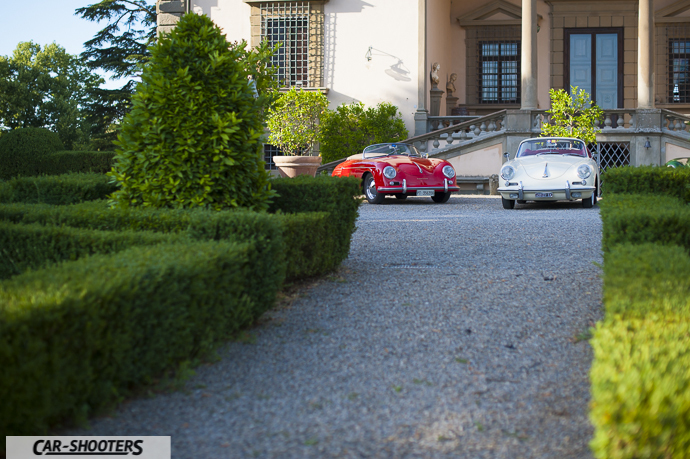 The 356A increased the capacity from 1500 to 1600 and was the subject of several tweaks which gave the car a superior quality. 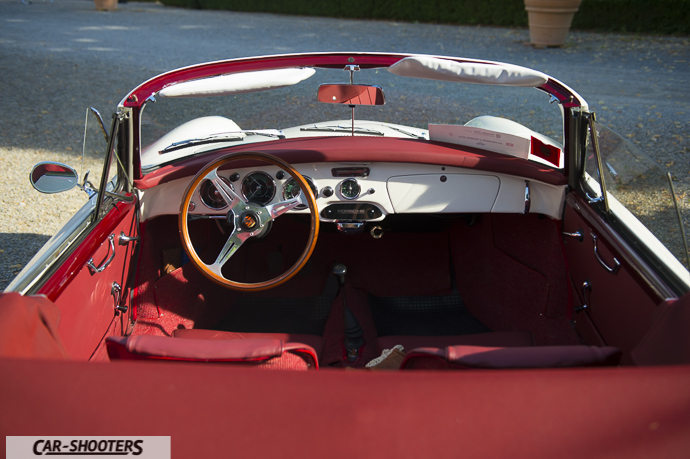 Among them was the elimination of the central angle of the windshield. The maximum power was now in the super version of 75HP. At the top of the line there was a version called “Carrera”, with an engine with double overhead cam head that could deliver 100 bhp. 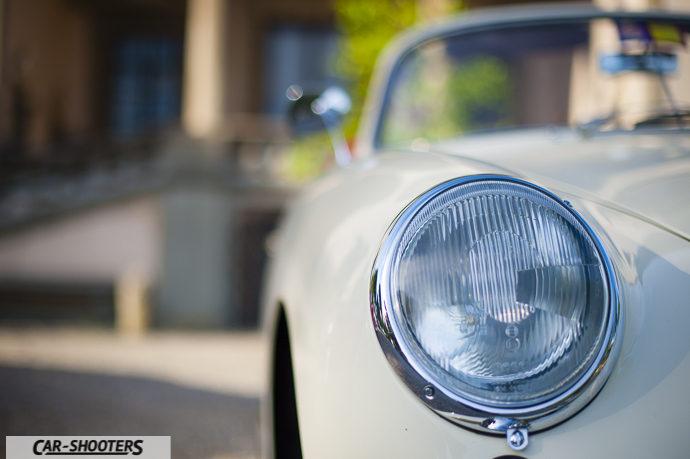 1959 led to important changes, the 356B version . The body was totally renewed, especially strengthened in the end pieces to make it practical for everyday use. The possible versions were coupé, cabrio and roadster. 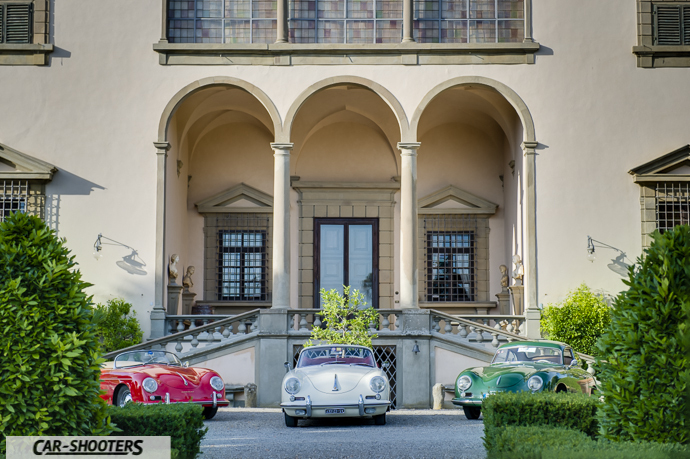 In these years, given the general weighting of the car, the Porsche asked to Italian Carlo Abarth to create a version of the 356 that could be competitive in motor racing. 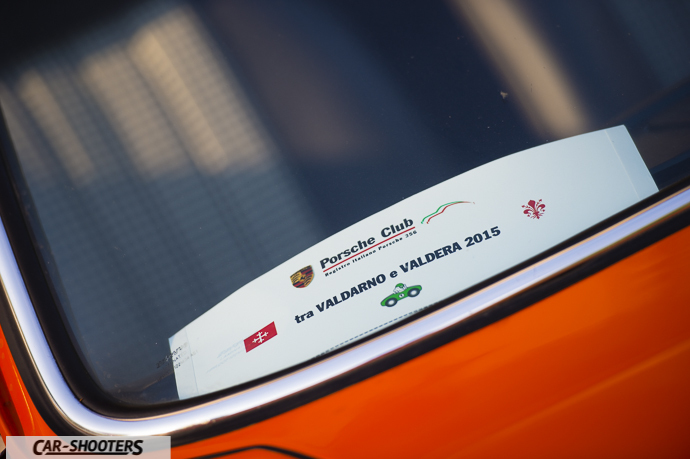 From this collaboration born the 1600 356B Carrera GTL Abarth. The leading street version was now the Carrera 2000 GS, with 130HP and disc brakes. 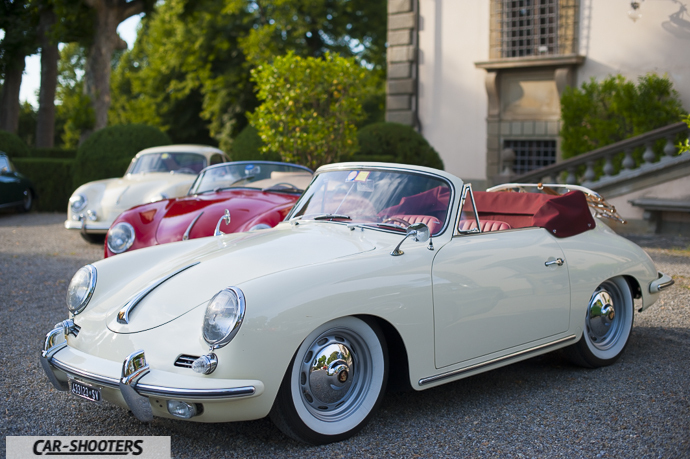 The 356C of 1963 closes the period of this model. 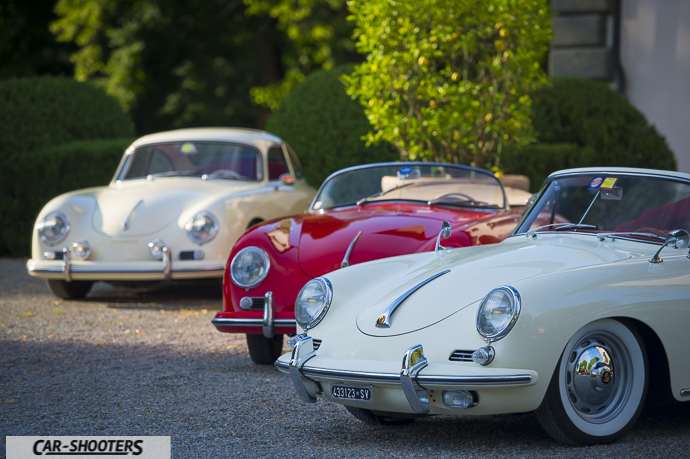 The most significant difference was the adoption of disc brakes on all versions, that lack on the other 356. Its career lasted from 1948 to 1965 and was produced in more than 79000 units. 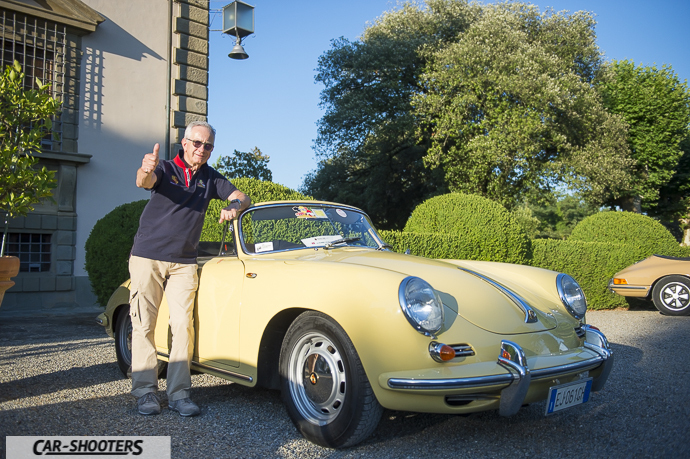 Nowdays the 356 is a cult car for many collectors and the prices vary widely depending on the model and year of production, certainly it is difficult to buy a model under 40,000 euro and some versions can get quotes over 400,000 euro. 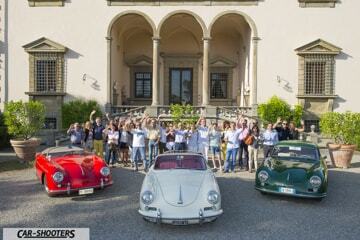 Owning a 356 today, as they told us the participants, means loving beautiful things. Which imply to have extreme attention to detail and extreme attention to originality. The cars shown are perfectly preserved or restored. As for those which has been restored, the attention to preserve the authenticity, even in the smallest details, is the center of the work. Subject of meetings like today is also the exchange of opinions, advice and experiences on how to best maintain their own piece of car history and also, of course, tell anecdotes, stories and details about the Porsche 356. It has been a pleasure to participate at this very special meeting.